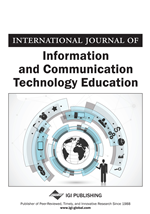 The purpose of this study is to analyze the perceptions of students and faculty members regarding educational use of communication technologies in two different countries with different cultures. Communications technologies examined in this article include various online interaction tools with strategic planning centers on SWOT (Strengths, Weaknesses, Opportunities and Threats) analysis. A comparison of external data for SWOT analysis is conducted for universities in different countries and cultures. Statistical data shows differences in the comparison of the Midwest University with other American universities and the Midwest University with the Bulgarian universities. The statistical findings suggest that collecting globally external data for SWOT analysis might benefit strategic planning and technological change in higher education. Universities in different countries and cultures can benefit to a much greater degree if they adopt such a study on a long-term basis as an administrative practice. For the past quarter of a century, the proliferation of microcomputers, networks, the Internet, and the mobility of electronic devices has changed society and industries, and prompted a transformation of educational format and content. Based on these technological advancements, educational materials have evolved into Internet-based applications. Today’s educational world is very different from the text-based one of a quarter century ago. Various course management systems such as, Blackboard/WebCT, Moodle, and Desire2Learn are now used to deliver educational material via Web pages, blogs, wikis, podcasts, and communicated through multimedia applications such as email, mobile phones, and VoIP telephony. Educational technology focus today is not on “if” technology should be implemented in education, but “how” (Keengwe, Kidd, & Kyei-Blankson, 2009). According to the Pew Project (Horrigan, 2007), from 2002 to 2007, younger people steadily turned to cellular phones and the Internet while there was a decline in the use of television and landline telephone. Further, over the same period (2002-2007), use of email remained steady, and the use of email on handheld and wireless devices sharply increased. The Pew research data reflect “a sharp reversal in how people viewed these technologies in 2002” (Horrigan, 2007, p. 1). Millennial students value the opportunity of emerging technologies to shift online education from its asynchronous, text-based past to its synchronous, audio/video present and future. It is indicative that the gap in this perception among students from developed and developing countries toward the delivery of online education is swiftly diminishing (Miltenoff et al., 2008). Due to the rapid evolution of technology and the consequent globalization process, a new form of learning, distributive learning has emerged (Beldarrain, 2006). While technology has great potential to reform education (Keengwe, 2007) in the United States and globally, it is primarily used to facilitate the delivery of content rather than to change educational patterns (Cuban, 2001; Hawkings, 2000; Keengwe, Onchwari, & Wachira, 2008). A key concern is the assumption that the educational field is ready for new paradigms of technology-based teaching. However, a new gap is observed – a gap in the ability to effectively deploy technologies. A new paradigm of evolution toward “Web 2.0,” which focuses on a new means of creating and presenting data (Alexander, 2006; Maloney, 2007) requires that educational leaders, faculty members, and other stakeholders in the educational process to acquire fluency – not only in the basics of technology use, but also in the didactical application of new Web 2.0 tools. Administrators must be the leaders in this process since they are in charge on campus (Creighton, 2003; Starkman, 2006; Venkatraman, 2007). Only after students, faculty members, and administrators embrace and take full advantage of the available opportunities and become comfortable with technology can the evolution to Web 2.0 occur (Robertson & Klotz, 2002). Practitioners in countries with relatively vast territories versus scarce population, such as Canada, Australia, New Zealand, and the Scandinavian countries have successfully harnessed the use of technology in distributive learning. In the current study, a possibility was explored that countries such as Bulgaria, where there is a pronounced technological gap, compared to the rest of the countries from the European Union, but with a robust educational system can also offer valuable data for comparison as well as experience in the form of solutions that can be applied in the United States.